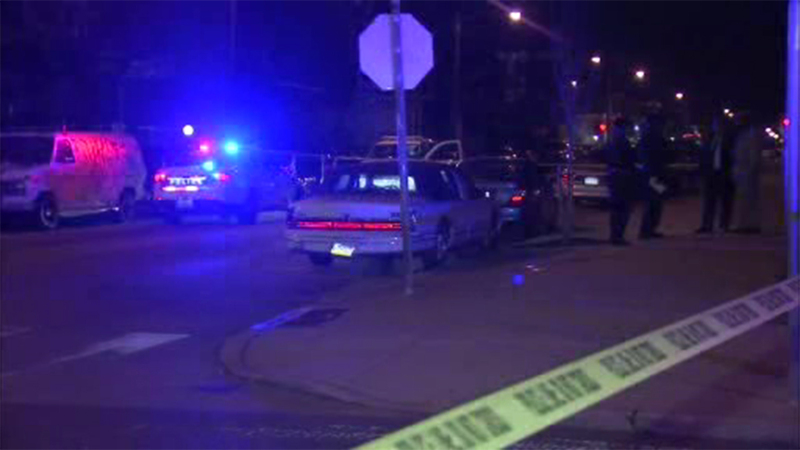 Philadelphia police are investigating a murder in the city's Kingsessing section. KINGSESSING (WPVI) -- Philadelphia police are investigating a murder in the city's Kingsessing section. It happened Sunday along South 53rd Street near Chester Avenue. Police were called to the area shortly before 6 p.m. for reports of gunshots. Responding officers found a 27-year-old man shot in the right side of the head. He was rushed by police to Penn Presbyterian Medical Center where he would die a short time later. No arrests have been made, and no word on what led to the shooting.